So you say you want to be a doctor? Well, you'll need all the tools and those can be hard to come by. However, if it's just a Halloween costume to see inside John Doe you're in luck! The Doctor Mirror is the perfect accessory to your Halloween costume. Maybe you want your costume to be even spicier and decide to be a zombie Doctor. You'll still look like a rock star in the Doctor Mirror. The Doctor Mirror is the perfect accessory! 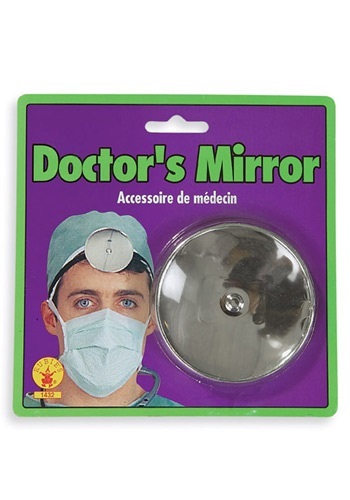 It comes with one large mirror for Halloween doctoring. In addition, the Doctor Mirror has and attached elastic band to keep the mirror in place and on your forehead. Get ready to impress your friends and see them use your mirror to check themselves out!